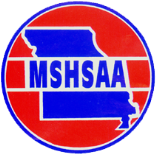 The Class 1 District 7 Softball Tournament Bracket has been released and can be seen by clicking the link below. Games are scheduled to be played at Sturgeon High School. Follow the up date bracket as play proceeds.